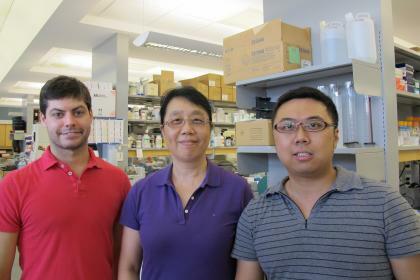 Scientists from Western University and the Children's Health Research Institute, an Institute within the Lawson Health Research Institute, have identified the critical role of a receptor called c-Kit in the development and function of insulin-producing beta cells, making it an exciting therapeutic target for the management of diabetes. The research, led by Rennian Wang, demonstrated that overexpression of c-Kit not only leads to increased insulin production but also counteracts the early diabetic effects of a high-fat diet. The paper and an accompanying commentary, are published in the August issue of Diabetologia, and featured in the Research Highlights in Nature Reviews Endocrinology (June 5). Diabetes is one of the most common metabolic diseases affecting over 25 million Americans and 2 million Canadians. It's associated with a multitude of complications leading to considerable morbidity and a major medical as well as financial burden on society. One of the major defects in diabetes is the loss of beta cells in the pancreatic islet. Wang and colleagues, including Zhi Chao Feng, a PhD candidate and first author on the paper, developed a transgenic mouse model (c-Kit Wv) which overexpressed c-Kit, specifically in beta cells. "When c-Kit is overexpressed, we observed a significant improvement in beta cell function and survival," says Wang, a Professor in the Departments of Physiology and Pharmacology, and Medicine at Western's Schulich School of Medicine & Dentistry. "You can even rescue c-Kit mutant mice from the early onset of diabetes, and protect against high-fat diet-induced beta cell defects. This is a novel finding and is being reported for the first time." Wang believes ongoing research into c-Kit and its underlying mechanisms, will pave the way to develop strategies to preserve and restore function to beta cells as a cure for both type 1 and type 2 diabetes.